Tune in TONIGHT, July 25th, at 11pm to listen to Bobby Sanabria on The Mambo Machine. He will be leading the playlist and telling the history behind the artists and songs you will listen to tonight. 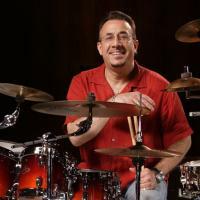 Mr Sanabria is a "drummer, percussionist, composer, arranger, recording artist, producer, filmmaker, conductor, educator, activist, multi-cultural warrior and multiple Grammy nominee - has performed with a veritable Who's Who in the world of jazz and Latin music, as well as with his own critically acclaimed ensembles. His diverse recording and performing experience includes work with such legendary figures as Dizzy Gillespie, Tito Puente, Paquito D'Rivera, Charles McPherson, Mongo Santamaría, Ray Barretto, Marco Rizo, Arturo Sandoval, Roswell Rudd, Chico O'Farrill, Candido, Yomo Toro, Francisco Aguabella, Larry Harlow, Henry Threadgill, and the Godfather of Afro-Cuban Jazz, Mario Bauzá."